Buffalo Home and Garden Show | Italian Marble & Granite, Inc. Recently Italian Marble and Granite had the privilege to work on the Buffalo Home and Garden Show with the Interior Design Association of Western New York. 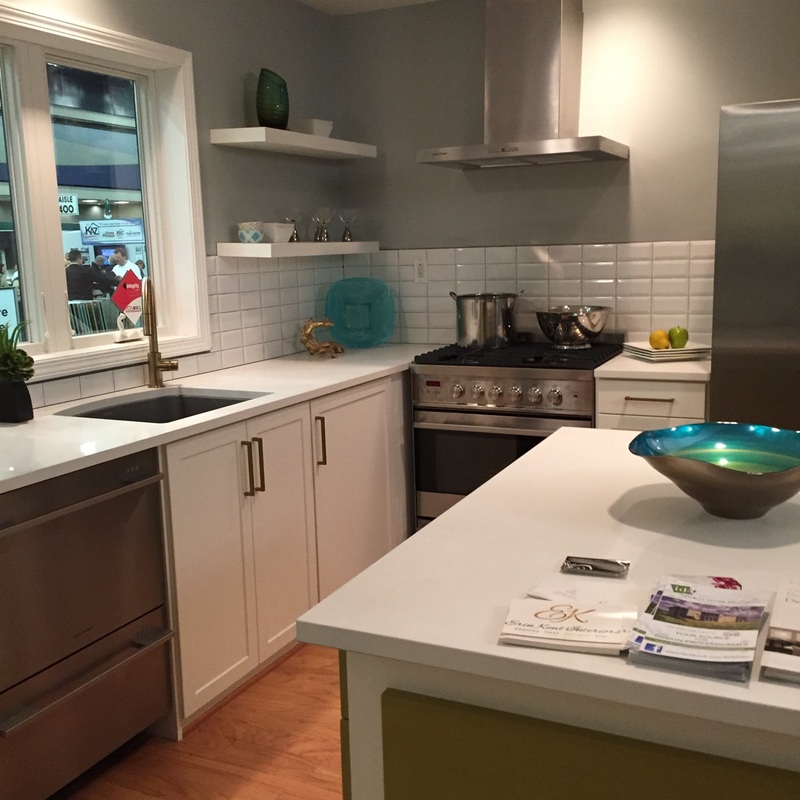 The Interior Design Association completed an entire 1000 square foot pre fabricated home that was staged on the second floor of the Buffalo Convention Center. The home was decorated beautifully by many of the designers and strategic partners of the Interior Design Association. The bedroom furnishings were supplied by Ethan Allen. The living room and dining room was completed by Kittinger Furniture. Italian Marble and Granite completed the kitchen with Creative Storage. The countertops were a white quartz from Q-Stone, a Quartz supplier. Creative Storage supplied white cabinets that were innovative and maximized the space and storage. The Buffalo Home and Garden Show is a great way to get ideas for your home and see some of the latest trends. Make sure to check it out next year!